30 Best Places to Visit in China with amazing pictures and maps! 30 Best Places to Visit in China! There are many wonderful places to visit in China, and it’s important that you learn about some of them when planning your trip. 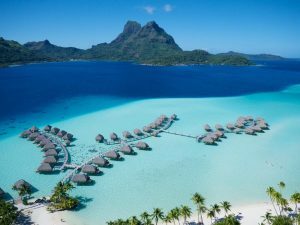 If you want to visit this country, you will need to figure out which places you will enjoy the most. With all of the different attractions that China has to offer, you will need to do some research before deciding on anywhere in particular to go. The more thoroughly you plan out your trip, the more you will be able to get out of it. These are some of the best places to visit in China, one of the most visited countries in the world! The Great Wall of China is definitely one of the more impressive and majestic attractions that China has to offer. It stretches a total of 21,195 km and is over 2,300 years old. There are numerous entry points for the Great Wall, and it’s an experience you won’t soon forget. Located in Northern China, the Mutianyu section is fully restored and worth seeing. The Forbidden City is one of the most important historical monuments in all of China, and it includes the Palace Museum. There are all sorts of fascinating historical artefacts that you will get to see upon entering this area. This is a fairly cheap attraction but it has a lot to offer. It’s important to keep in mind that photography is not allowed in most sections. The Yangtze River, also known as the Long River, is, in fact, the longest river in all of China. The best time of year to go on a cruise down this river is in the fall season. Those who go on one of these cruises in the autumn can expect to see beautiful brightly coloured trees. There are lots of different cruise stops where you can get off and explore, including Fengdu, Shibaozhai, and Qu Yuan Temple. The Terracotta Army was initially made for the purpose of guarding the first emperor of China in the afterlife. This is one of the most amazing and impressive archaeological sites in the entire world, and it’s definitely worth visiting. It was constructed between 246 and 206 BC, and it’s the perfect attraction for all history buffs. The Silk Road is the perfect place to learn about the ancient history of China. Anyone who is interested in learning more about this country’s rich history will want to make a point of visiting this place. There are numerous tours that you can take, some of which go up to 17 days. This is a truly unique experience that will be unlike anything you have ever done before. The Silk Road is probably the most famous business routes in the history of mankind. It binds China, Persia, Middle East and at the far end the Mediterranean. The Temple of Heaven in Beijing was constructed during the Ming Dynasty, and it is definitely one of the most popular tourist destinations in China. This attraction will definitely keep you busy all day long. And it’s a great place to go for some exercise. The Tai Chi Experience at Temple of Heaven is available for USD 98, and it’s well worth every cent. The Yellow Mountains are some of the most beautiful landscape that China has to offer, and you definitely don’t want to miss out. Here you will be able to enjoy the hot springs, go hiking, and take lots of amazing pictures. These mountains also make for the perfect place to watch the sun rise and set. Lots of people who come to China take a 2-day trip out to the Yellow Mountains. 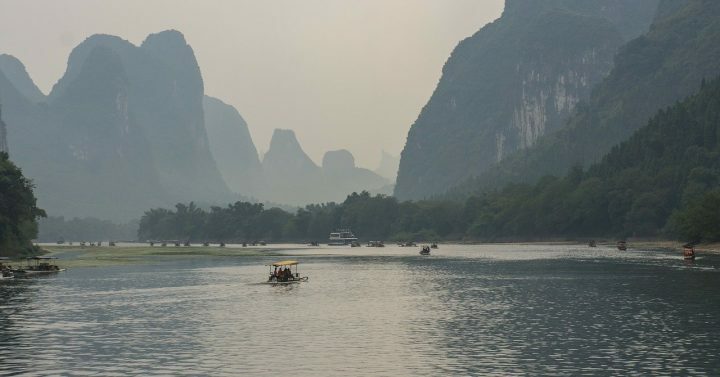 You will find that the Li River in Guilin is one of the most picturesque places in the country, and there are numerous tours that you can go on. The riverboat cruises and bamboo rafting make for incredible adventures that you will never forget. Many people hike along the river, and there is plenty of incredible nature to take in. If you want an outdoor adventure, this is one of your best options in China. West Lake in Hangzhou has been named one of the 12 most superb sunset spots in the entire world, and for good reason. This area is 6.5 square kilometres and offers some great opportunities for biking, hiking, and scenic walks. Spring is by far the best season to go because of the warm weather and green leaves. The flower blossoms also add to this already amazing scenery. The Potala Palace in Tibet is one of the highest ancient sites in the world, and touring it takes one hour in the peak season and 2 hours in the low season. This world wonder is also a very popular pilgrimage site that draws thousands of people each year. The Red Palace is a beautiful structure that is used as a house of prayer by the Dalai Lama. The Bund is an icon of Shanghai, and it is one of the best tourist attractions in the entire area. This is a great place to walk around and enjoy the scenery or even take a cruise. You will be able to see all of the different historic buildings that Shanghai has to offer. A sunset cruise down The Bund is certainly something to keep in mind when you visit this place. The giant pandas in Chengdu are truly a spectacular sight that you don’t want to miss. These animals are only kept in capacity in this country, and they attract many tourists each year with their cuddly cuteness. The panda tours that Chengdu offers are certainly worth the time and money. You can even get a custom tour that will match your exact requirements. The Summer Palace is located northwest of Beijing, and it was built in 1750. You can easily spend half a day at this attraction, and it’s quite beautiful. There are a number of buildings that are open to the public, though some are closed off. You can take a boat ride to an island temple, which only takes about 10 minutes and is well worth it. This Buddhist temple is an extremely popular tourist attraction and has a graveyard area with bodies of people from hundreds of years ago. The martial arts performances here are truly an incredible spectacle to behold. You are allowed to take photographs here, and it’s highly recommended that you do so. The ancient architecture of this temple is quite stunning, to say the least. Pingyao is a small ancient city in China that is hundreds of years old. There are a number of historic sites here, including China’s first bank and the Ancient City Wall, which is one of the best-preserved city walls in the country. Mian Mountain is also a great place to visit, and it is where the Tomb Sweeping Festival started. The Beijing 798 Art Zone is named after a factory that existed back in the 1950s, and it has been called one of the most famous landmarks in the world. The architectural style of this place is truly unique, and you will definitely want to take lots of pictures while you are here. There are some truly unique exhibition centres as well as creative workshops that you will want to look into. The Moganshan Road Art Gallery is known for its unique exhibits that feature a number of pieces by up-and-coming artists. There are around 100 promising artists and several galleries for you to walk through. There are also numerous cafes and restaurants. If you have a love of art, you definitely do not want to miss this gallery and all that it has to offer. China Art Museum features exhibits of contemporary artworks. You will find new year festival paintings, carved paintings, and local style oil paintings in this exhibits. There are a total of 12 exhibition halls that hold 800 articles, so there is plenty to see. These masterpieces include everything from bronze horse head statues to unique modern pieces that are open for interpretation. The Chaoyang Acrobatics Theater offers a great time for every member of the family. This cultural arts centre has entertained over 3 million guests, including various world leaders. The acrobatics shows are absolutely spectacular and very memorable. These shows are done twice a day, and it is definitely something that you will want to see before heading back home. The Ullens Center for Contemporary Art is yet another place that offers many excellent exhibitions with various specific art styles. Some of the past exhibitions here include Wang Keping, Teppei Kaneuiji, and China’s Youth Artists in Concept and Practice. This is a huge space with numerous exhibitions that you can walk through to see the beautiful artwork by numerous Chinese artists. The Longji Terraced Fields offer some of the very best scenery in China. If you are looking for the perfect spot to watch the sunrise while visiting this country, you will definitely want to consider going here. There are 25 square miles of fields to explore, located in Longsheng County, Guilin Prefecture, Guangxi Province. The Longji Rice Terraces is a reference to a number of small villages in Longsheng County. Yalong Bay, also known as Oriental Hawaii, is a truly beautiful place to go when you want to soak in the sunshine and splash around in the water. There is a 4-mile long sandy beach and a world-class golf course for those who enjoy golfing. There are a lot of national and international hotels in this area, so you shouldn’t have a problem finding the right one to stay at. Lijiang is a beautiful city with snow-capped mountains and it is located northwest of Yunnan Province. There are a lot of interesting things to see and do in this area, including the Ancient Tea Horse Road, which was once a centre for economic and cultural communication. There is also Baisha Village, which is one of the best-preserved ancient towns in all of China. Hangzhou is the capital of Zhejiang Province, and it is often referred to as “heaven on earth” by those who visit. This is one of the seven ancient capital cities in China, with a history that goes back 2,500 years. West Lake is a great place to visit for beautiful scenery, but there are many other areas that you should explore. Xi’an is one of four ancient city capitals in China, and it has a number of different historic sites that you will certainly want to visit. There are 72 imperial tombs and over 700 historical sites that range from ancient pagodas to the city wall. There are lots of places to get something to eat here, and it’s a wonderful place to visit for anyone who loves history. Taishan Mountain known also as Mount Tai is China’s most visited and most celebrated mountain, pilgrims and tourists keep it busy all year round. For its monumentality, spiritual and historical value, it was listed as a UNESCO World Heritage List back in 1987. Mount Tai rises up to 1545 meters above sea level and you will find it in eastern China, Shandong Province, north of the city of Tai’an. Hukou Waterfall is the largest waterfall on the Yellow River and the second largest waterfall in the country. Thousands of tourists come to see the waterfall and see its rumbling screaming, especially during the flood, when the waterfall is more powerful. It is the only yellow waterfall in the world. In winter, Hukou Waterfall changes to the Ice Kingdom, therefore, a visit to the waterfall is suitable any time of the year! There are lots of amazing waterfalls in China that attract countless visitors and tourists from all parts of the world. Another one, which should not be forgotten on your China visit is Huangguoshu Waterfall. With its height of 74 meters and width of 81 meters, it is the largest waterfall in Asia. The waterfall is located in the Huangguoshu National Park, about 45 km from Anshun. Along with other smaller waterfalls, it is a real attraction for tourists. Have you seen a wonderful (and colourful) movie Avatar? Then you must see Wulingyuan National Park and its Zhangjiajie’s floating rocks! Zhangjiajie National Forest Park is located in the south of China in Hunan Province. It was founded in 1982 and is, therefore, the first national forest park in China. It has an area of more than 100 km2. You will find more than 3000 narrow sandstone towers here, many of which are more than 200 meters tall. Since 1992 it has been listed as UNESCO site. Wuzhizhou Island is located along the coast of Hainan province. There are more than 2,700 plant species, including exotic flowers and trees such as Alsophila spinulosa and Dracaena draco, which are the oldest plant species in the world.